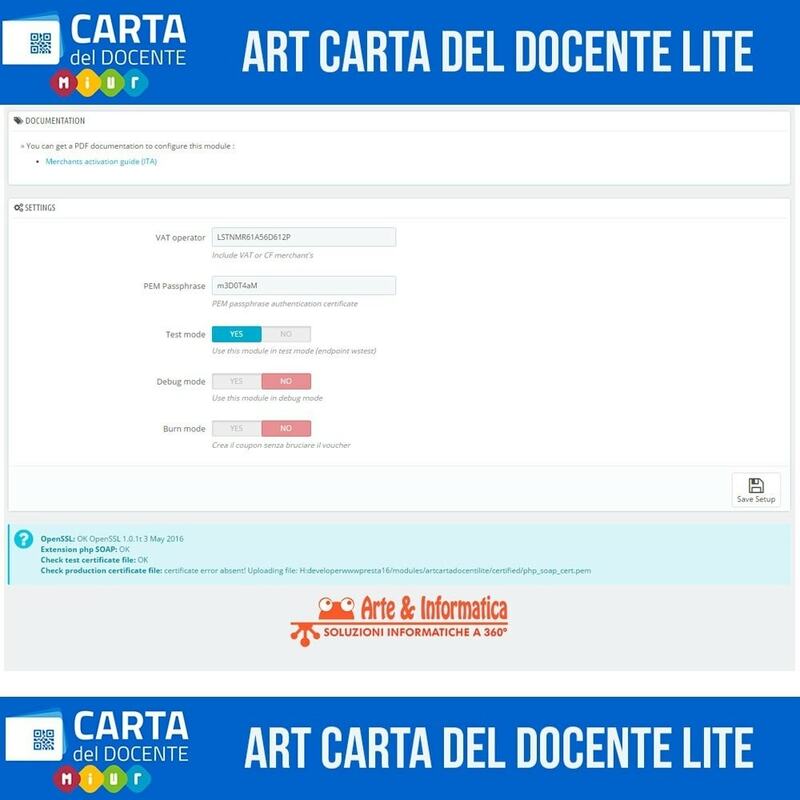 The Art Carta del Docente Light module allows you to accept payments through Carta del Docente by verifying and burning the voucher through the SOAP calls from the MIUR Web Service (Ministry of Education of University and Research). 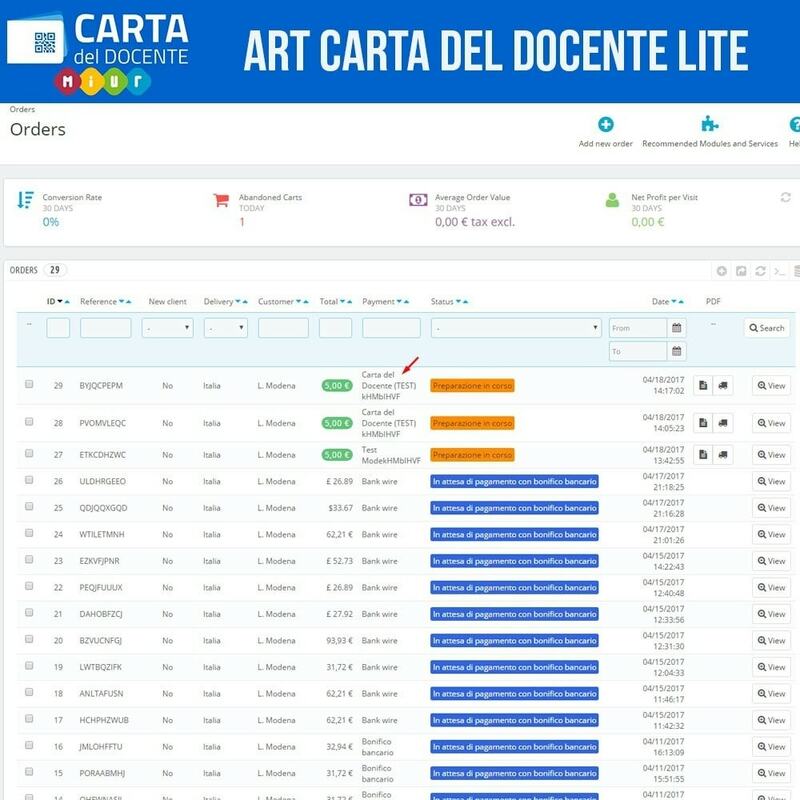 The Art Carta del Docente Light permits acceptance of the Teacher's Card vouchers for all electronic commerce enabled in online selling of products falling within Carta del Docente initiative referred to in Article 1, paragraph 124 of Law no. 107 of 2015 (School Voucher). 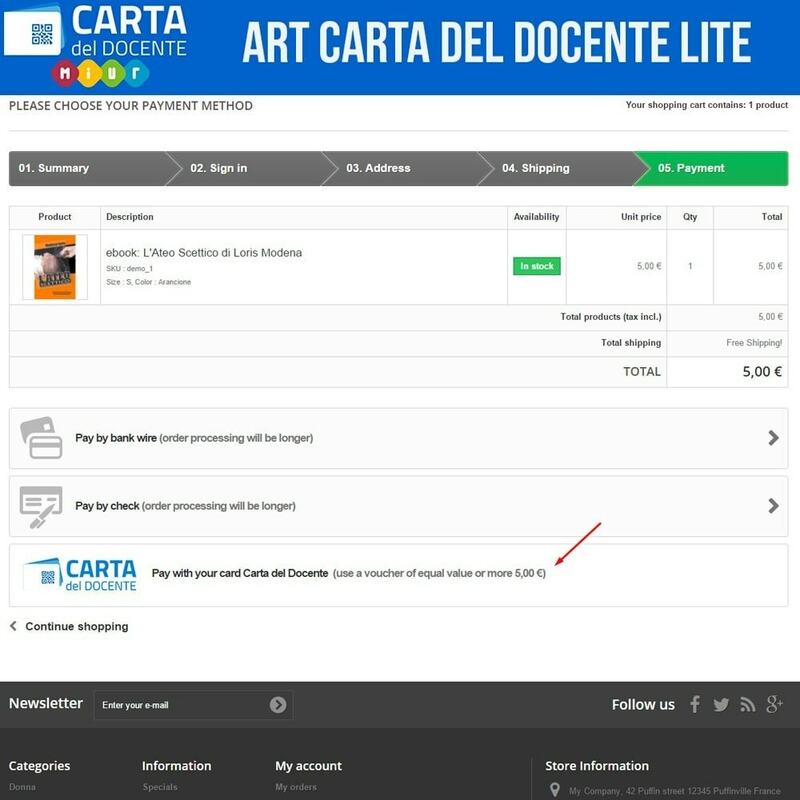 Carta del Docente is an initiative of the Italian Government the module Art Carta del Docente is only for Italian merchants or merchants who have businesses in Italy and are accredited on Carta del Docente. 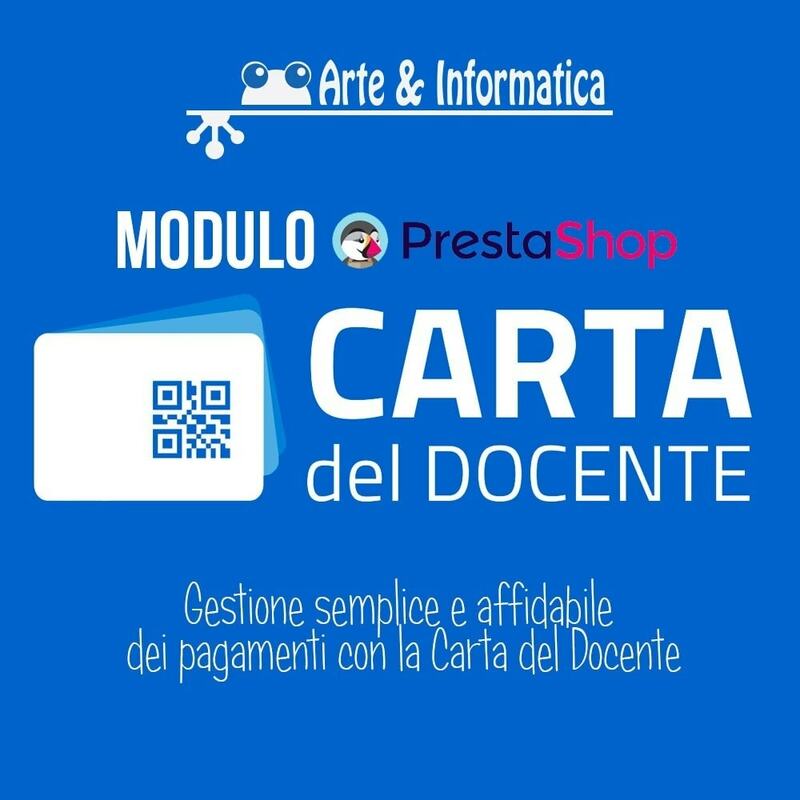 Teachers will be able to purchase through their Carta del Docente (School Voucher) similar to other payment modules (e.g. 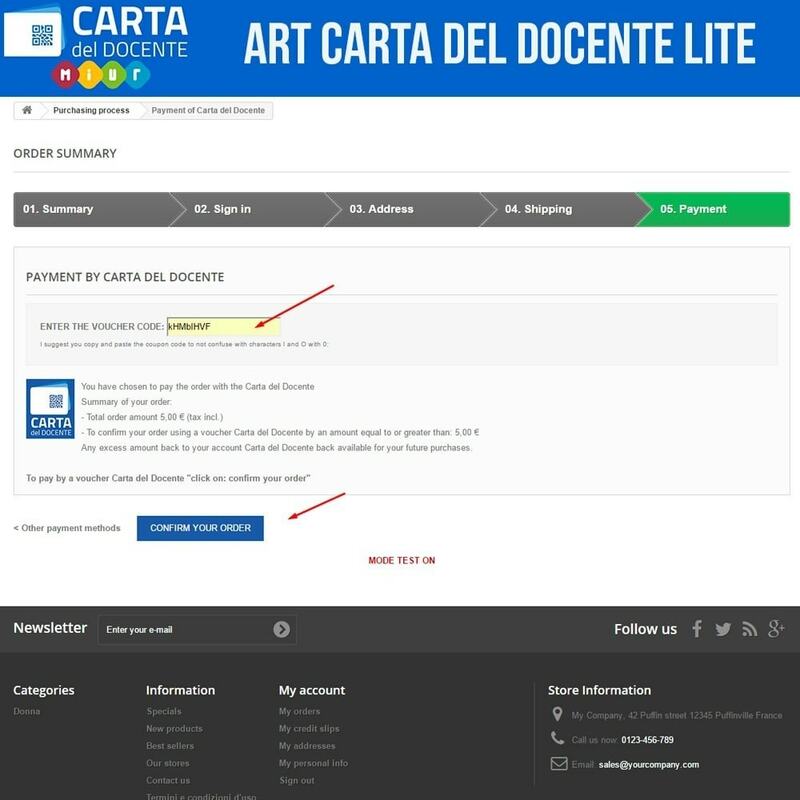 PayPal). 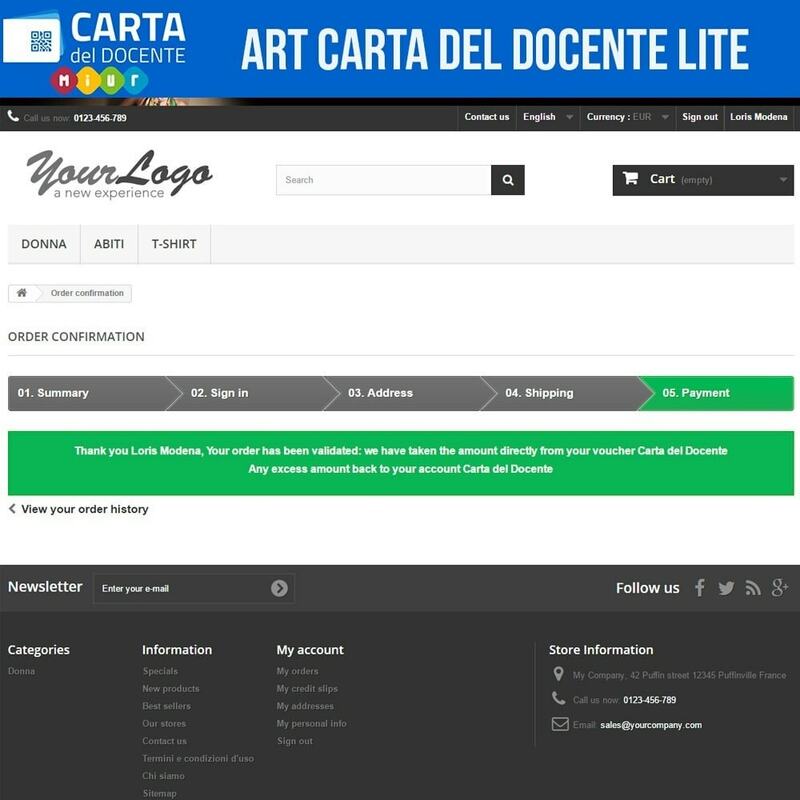 Easy to install, it includes the guide for the generation of the CA (.der file) and the activation of the operator at MIUR for online sales.